This CRASH Museum Introduction gives a preview of The CRASH Air War and Resistance Museum ’40 -’45. It can be found in the vicinity of Amsterdam Schiphol Airport. During the Second World War, several dozen Allied, German and Dutch planes crashed in and around the Haarlemmermeer. 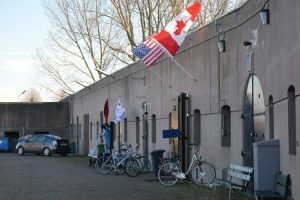 The history of these crashes is housed in this special museum, located In Aalsmeerderbrug in a fortress of the Defense Line of Amsterdam. The museum contains a unique collection of objects and documentation about the Second World War, especially about the air war over the Netherlands and about the resistance. There are a number of permanent exhibitions to view. In addition, there are temporary exhibitions with varying subjects. The exhibition ‘Meer in de Stelling’ will be on display until 28 April 2018. The Crash Research foundation in Aviation Society Holland 1940-1945 (CRASH ’40-’45) manages the museum in which the result of over 25 years of research into the air war above ‘De Haarlemmermeer’ and beyond is highlighted. Click HERE for an impression of the museum.